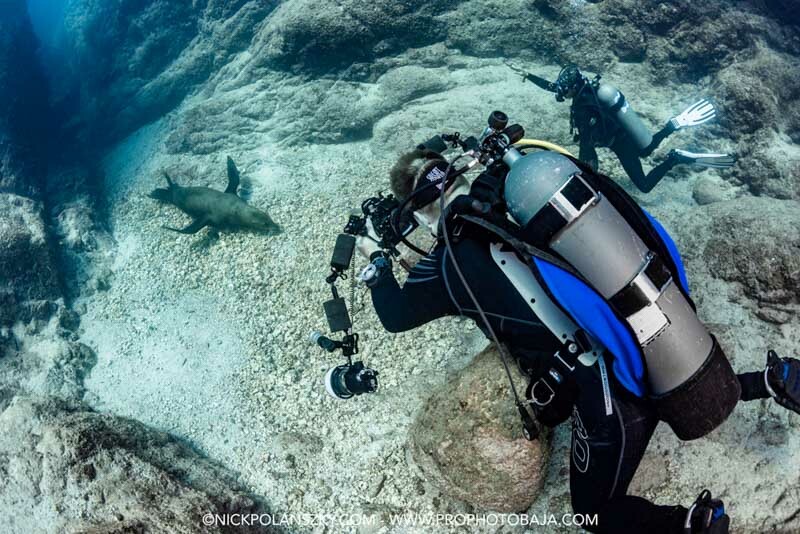 Helpful tips and techniques from an expert sea lion photographer's experiences leading tours in the Sea of Cortez. 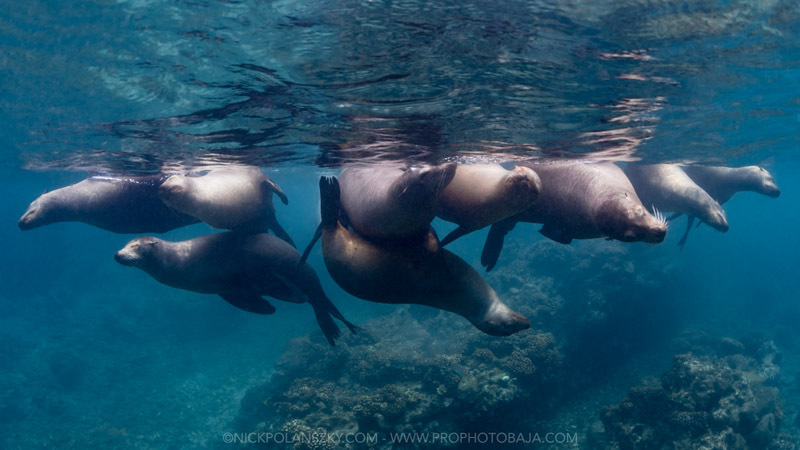 For many years I admired from afar the playful images of California sea lions coming out of the Sea of Cortez, Mexico. They were imprinted in my mind; I could only imagine the personal interaction with such playful and curious creatures, and the underwater experience that came with it. So when the opportunity came to make the Sea of Cortez my work space, I didn’t have to think twice. Territorial bull male guarding the harem at La Reina, La Paz. Canon 5DIII, Aquatica housing, Sigma 2.8 15mm fisheye lens. f/8, 1/250 sec, ISO 320. Upon my first arrival to the sea lion colony of Los Islotes, a grin from ear to ear spread across my face as our group was surrounded by the distinctive barks, growls, and grunts from the 500+ sea lions that inhabit this small volcanic rock island. Our grins quickly turned into hysterics as we watched them waddle, jump, and push each other off the rocks. 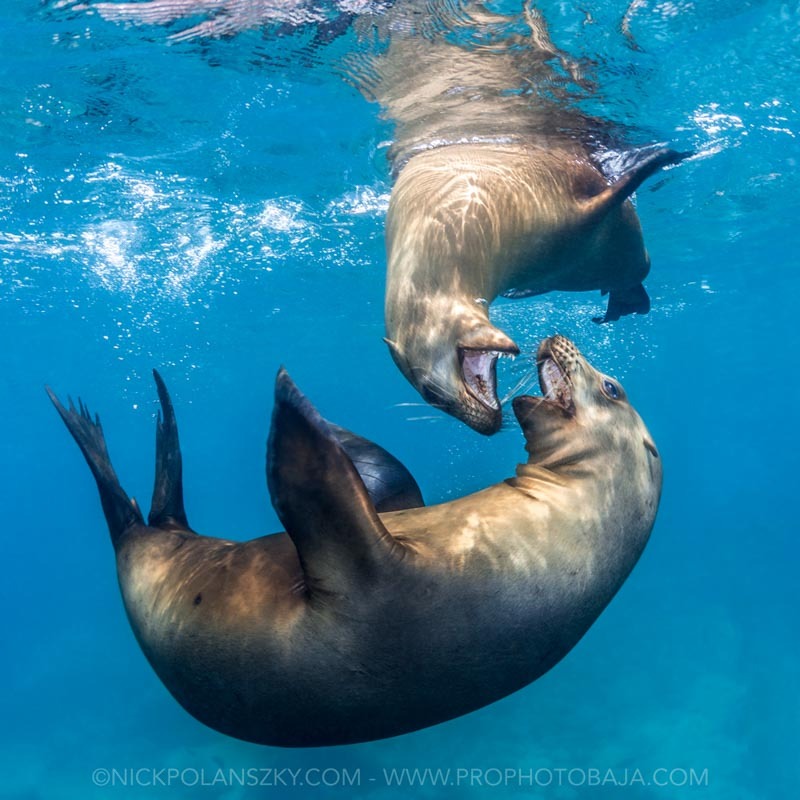 Juvenile sea lions practising territorial battles at Los Islotes, La Paz. Canon 5DIII, Aquatica housing, Sigma 2.8 15mm fisheye lens. f/9, 1/250 sec, ISO320. 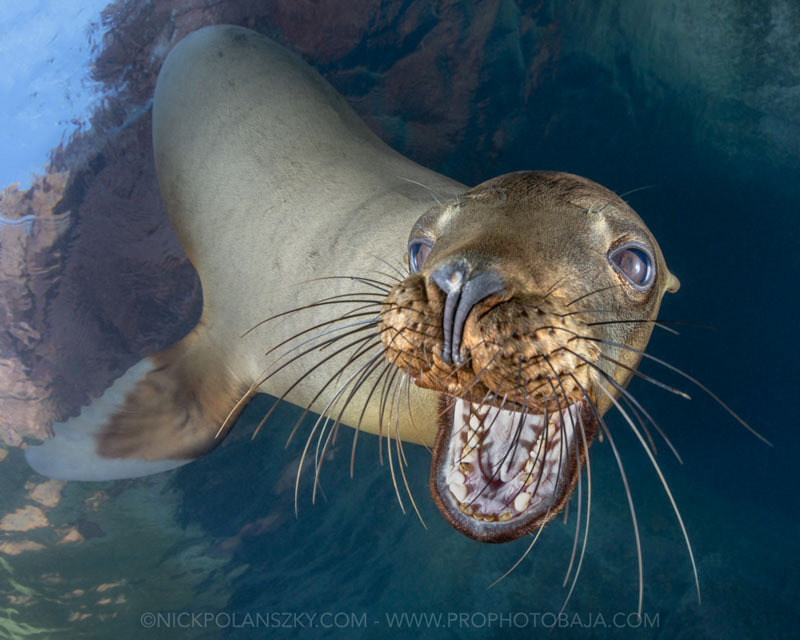 During my years as an underwater photographer, nothing has filled my heart more than my interactions with California sea lions, experiencing all of their playfulness and curiosity. 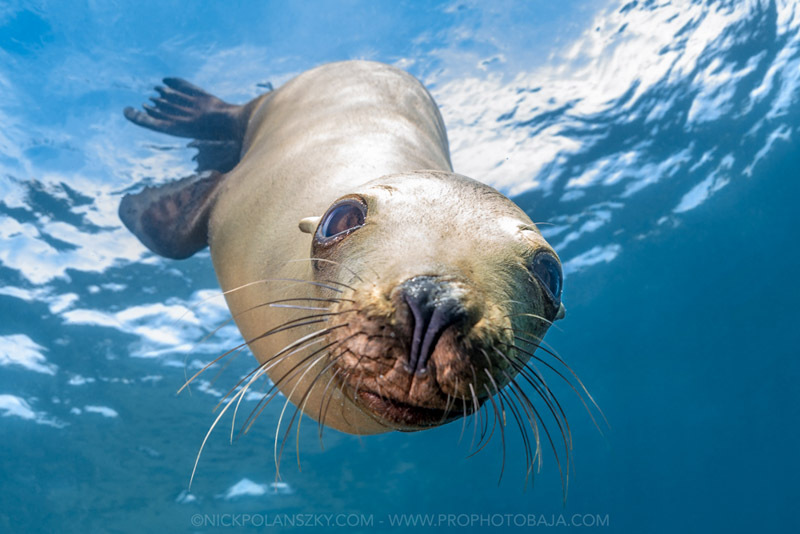 These guys play, nibble, roll, chew on your camera, and push up against your face; before you know it, your dive time is up, and you just can’t wait to get back in the water with them. Spending most of my days now in the water with California sea lions has taught me some key lessons and techniques. So here are my top 7 tips to help you capture some great underwater images of these playful puppies of the ocean. 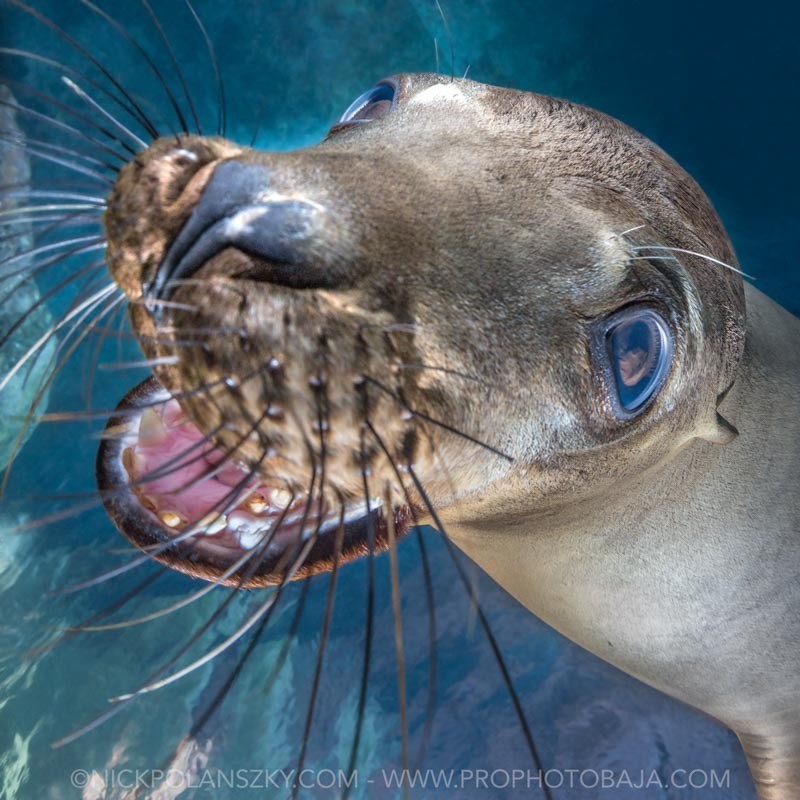 A happy juvenile sea lion of Los Islotes, La Paz. Canon 5DIII, Aquatica housing, Sigma 2.8 15mm fisheye lens, 2x YS-D1 strobes. f/9, 1/250 sec, ISO320. 1. If They Play with You, Play Back! With a curious and playful nature, sea lions generally won’t leave you alone in the water and are always more than happy to be in front of the camera. That being said, juvenile sea lions are like big puppy dogs of the ocean, and will lose interest quickly if you don’t interact with them. So remember to take in the moment, interact with them, spin when they spin, let them play, and fire off some snaps within those moments - you can make a friend for the whole dive. Photographer capturing a sea lion laying in the canyon of La Reina, La Paz. Canon 5DIII, Aquatica housing, Sigma 2.8 15mm fisheye lens. f/7.1, 1/250 sec, ISO 320. These guys move, and fast. This means that changing between camera settings when interacting with a sea lion is nearly impossible. I generally get into the water with an idea of the image I want to try and capture - whether it’s a portrait, a silhouette, them playing together, or them interacting with divers. California sea lion coming in for a closer look at Los Islotes, La Paz. Canon 5DIII, Aquatica housing, Sigma 2.8 15mm fisheye lens, 2x YS-D1 strobes. f/6.3, 1/250 sec, ISO 320. 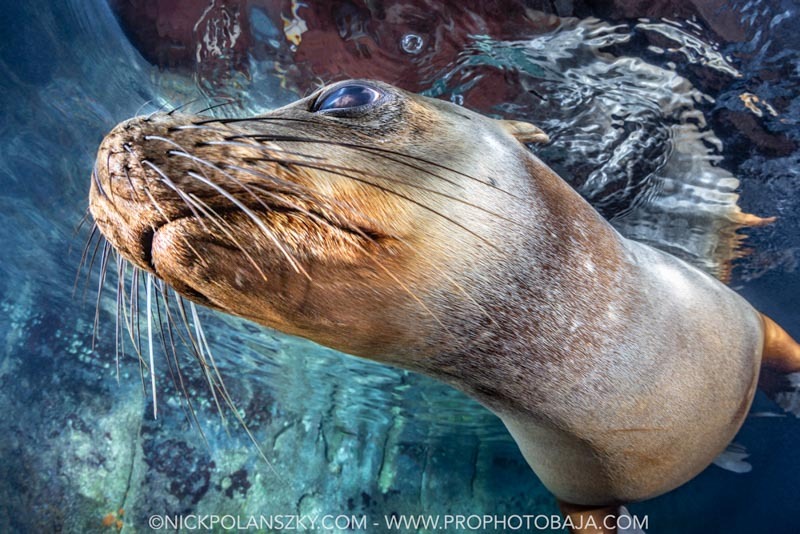 Because of sea lion's fast and rapid movements underwater, a fast shutter speed is required. Shooting with the Canon 5d iii, my strobes sync at 1/250th of a second. But in ambient light shots, even higher shutter speeds can be required. Juvenile sea lion at Los Islotes, La Paz, coming in for a chew on the camera. Canon 5DIII, Aquatica housing, Sigma 2.8 15mm fisheye lens, 2x YS-D1 strobes. f/10, 1/250 sec, ISO 640. Closing down on your aperture with these quick moving subjects also helps keep them in your focus points. I usually start at f/9 and will close it down if required; this in turn means some sacrifice with having to shoot a higher ISO. Juvenile sea lion inside the cave at Los Islotes, La Paz. Canon 5DIII, Aquatica housing, Sigma 2.8 15mm fisheye lens, 2x YS-D1 strobes. f/11, 1/160 sec, ISO 320. Sea lions play near the surface, and generally aren’t found much deeper than 7m. Most days are bright and sunny here in La Paz, which gives us plenty of ambient light to work with. And if the sea lions are closer than around 2 m, adding some low amounts of artificial light helps bring out the detail in their fur and more of their colour. It also helps freeze their motion for the image. While conditions are normally excellent during the summer months, there is always potential for backscatter, so keeping your strobes out helps minimise this. 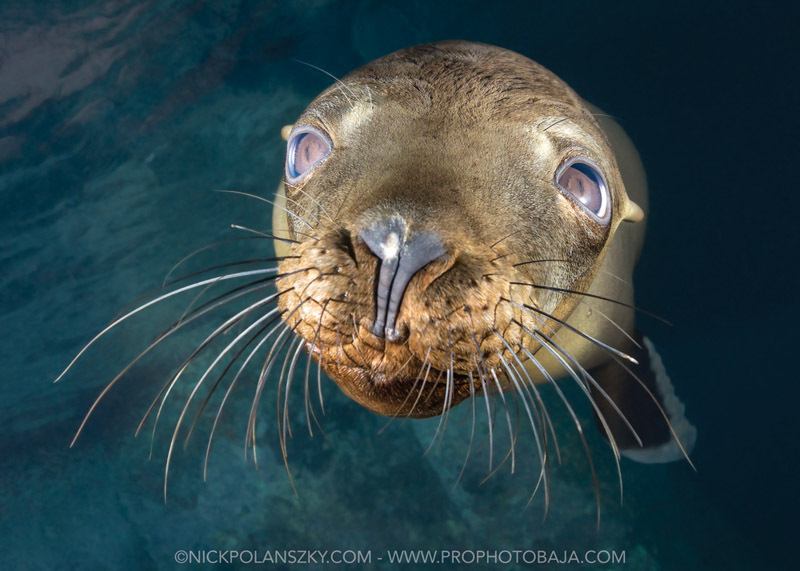 Portrait of a juvenile sea lion at Los Islotes, La Paz. Canon 5DIII, Aquatica housing, Sigma 2.8 15mm fisheye lens, 2x YS-D1 strobes. f/9, 1/250 sec, ISO 640. 6. Go for Portrait Shots! Portrait shots are one of my favourite images to capture - those big bulging eyes, tiny streamlined ears, and of course, their super sensitive whiskers. As they move around so rapidly, when I try for portrait shots I generally shoot blind and move the camera around with them. This also keeps them interested, with having a big weird flashing thing waving about in front of them. Strobe power and positioning is crucial for portrait shots, so pulling your strobes in tighter and a little higher to the camera helps make sure the light completely spreads over their face and nose. Canon 5DIII, Aquatica housing, Sigma 2.8 15mm fisheye lens. f/10, 1/250 sec, ISO 640. There is something so cute about a sea lion napping at the surface, and this makes for great over/under shots. Sleeping at the surface means they aren’t looking for interaction and we need to respect that. Approach them very slowly and cautiously, and make sure they are comfortable with you being there. During the shot above, I was heard breaking the surface of the water. He opened his eye, checked me over for a second, and then went straight back to drifting along. 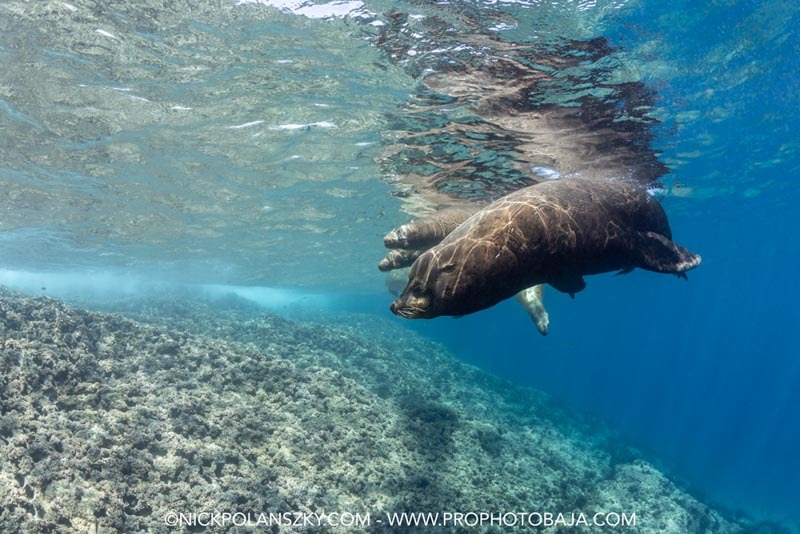 For Sea Lions I shoot with the Canon 5d III with a Sigma 15mm 2.8 fisheye lens, inside an Aquatica housing with an 8” Dome Port and two Sea & Sea YS-D1s. Among other locales, California Sea Lions inhabit the Sea of Cortez all year round, between Los Islotes, San Rafaelito and La Reina. The volcanic rock island of Los Islotes is a more known colony with over 500+ individuals. Being a prominent breeding ground with more active juveniles makes this site ideal for photography opportunities. Raft of sea lions taking in some sun at San Rafaelito, La Paz. Canon 5DIII, Aquatica housing, Sigma 2.8 15mm fisheye lens. f/9, 1/250 sec, ISO 320. California sea lions breed once a year, and during this time the male sea lions become more territorial. Although the occurrences of actual attacks on divers are next to none, to safeguard against this and to let them do their thing during breeding season, Los Islotes is closed to tourism during the months of June, July, and August. Sea Lion heading back for the island of San Rafaelito. Canon 5DIII, Aquatica housing, Sigma 2.8 15mm fisheye lens. f/11, 1/250 sec, ISO 320. My recommendation is to go with a well-established operator with experienced guides who understand and respect sea lion behaviour. 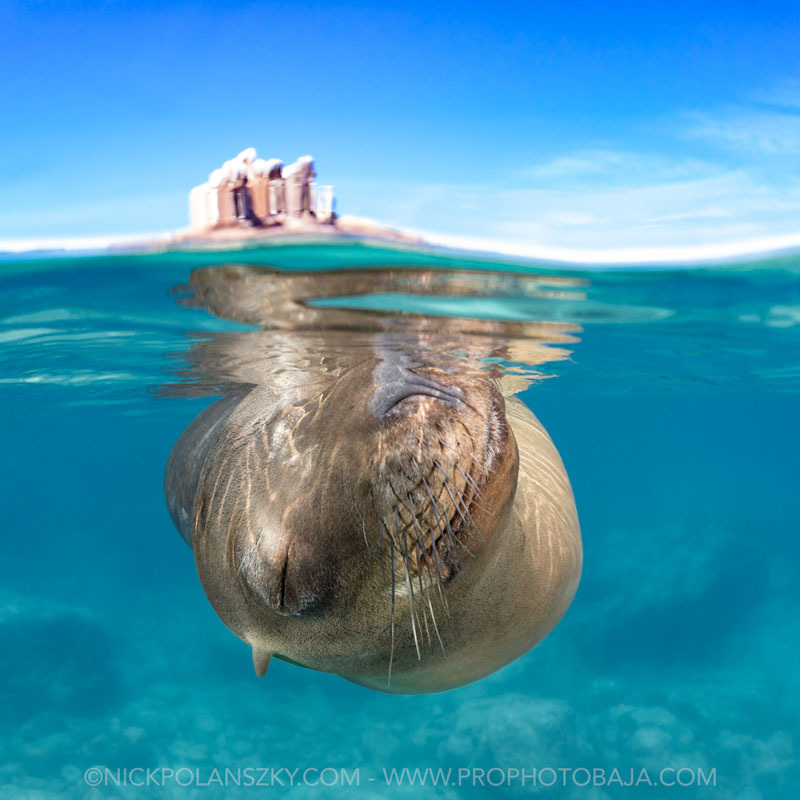 You can join me at Pro Photo Baja (www.prophotobaja.com) with the Cortez Club, as we run daily specialised photography excursions to the sea lion colony of Los Islotes. Book your Sea of Cortez Trip! Bluewater Travel can help you plan and book the perfect Sea of Cortez dive trip. Visit Bluewater's Sea of Cortez Scuba Diving page or email bookings@bluewaterdivetravel.com. Growing up on the south-east coast of Australia, Nick discovered his passion for the ocean at an early age. 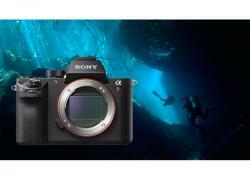 Wanting to raise awareness of the underwater world, he picked up his first underwater camera, a Sony RX100, in 2013. He has not put one down since. He has worked in several different countries and had his images published by international agencies such as National Geographic, Greenpeace, PADI, and several newpaper agencies. 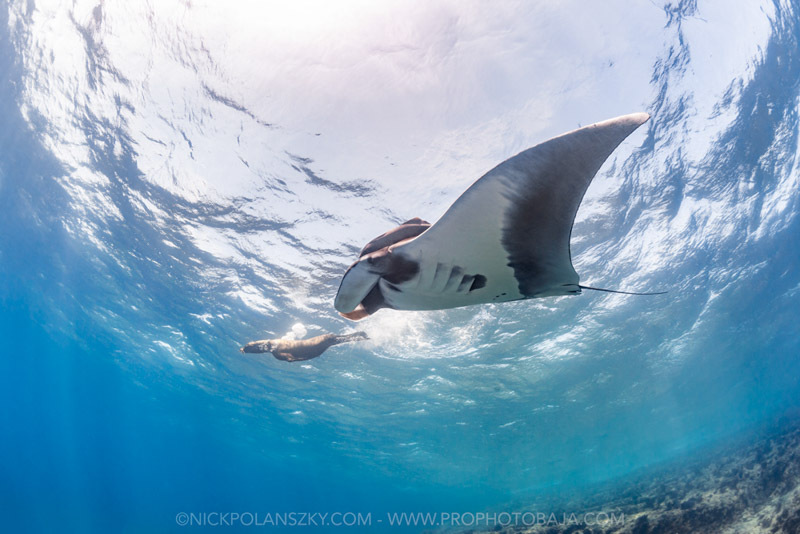 He is now based in La Paz, Baja California Sur, where he currently runs underwater photography workshops and excursions in the Sea of Cortez. 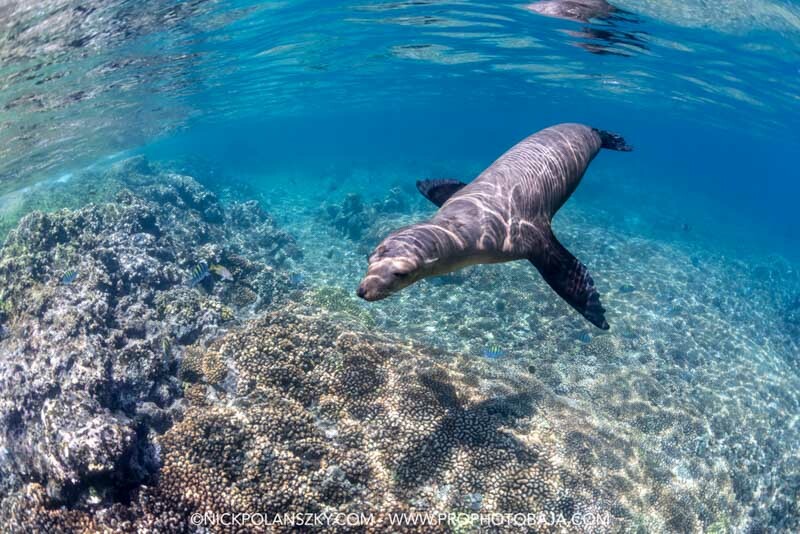 "With a deep passion for the ocean and photography, I hope my work helps bring awareness to the need to preserve our underwater world."